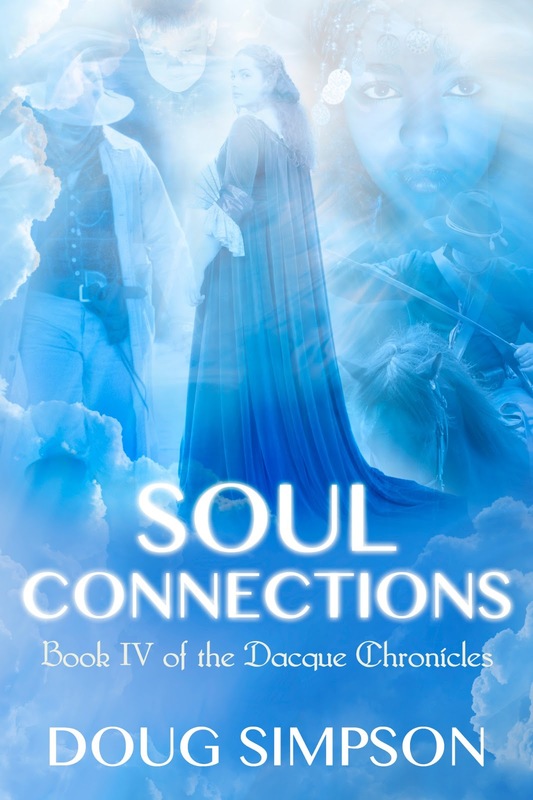 Soul Connections is the fourth book in the exciting series titled the Dacque Chronicles. It describes the educational journey, guided by the spirit of a sudden murder victim, of a group of individuals through the process of investigating their interconnected past lifetimes. As well as the surprising discoveries uncovered through their past-life research, the spirit and soul of the murder victim educates its past relatives, from its previous lifetimes, in the knowledge retained by our souls after death, and in the ‘life’ of souls temporarily residing on the other side as they await their next incarnation. Do you know what your soul planned for you in this lifetime, back before you were born? You should! 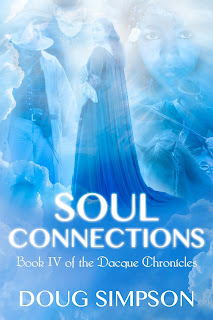 Purchase information for Soul Connections, Book IV of the Dacque Chronicles is available at http://www.5princebooks.com/buy.htm April 25, 2013. Doug Simpson is a retired high school teacher who has turned his talents to writing. His first novel, a spiritual mystery titled Soul Awakening, was published in the United States in October of 2011, by Booklocker. It was reissued in October of 2012 by 5 Prince Publishing as Soul Awakening, Book I of the Dacque Chronicles. For further details visit them at http://5princebooks.com/. It is available in print and eBook format through most bookstores around the world. Soul Rescue, Book II of the Dacque Chronicles was published in November of 2012, and Soul Mind, Book III of the Dacque Chronicles was published in January of 2013. His magazine and website articles have been published in 2010 to 2013 in Australia, Canada, France, India, South Africa, the United Kingdom, and the United States. His articles can be accessed through his website at http://dousimp.mnsi.net. Good luck Doug with the new release! You certainly have been Blessed, Maryanne. Thank you for visiting with us. Best of luck to you Doug and wishing you much success! Thank you very much, Pat. Wishing you every success with your new release, congratulations! Thank you very much, Susan Goodsell! !